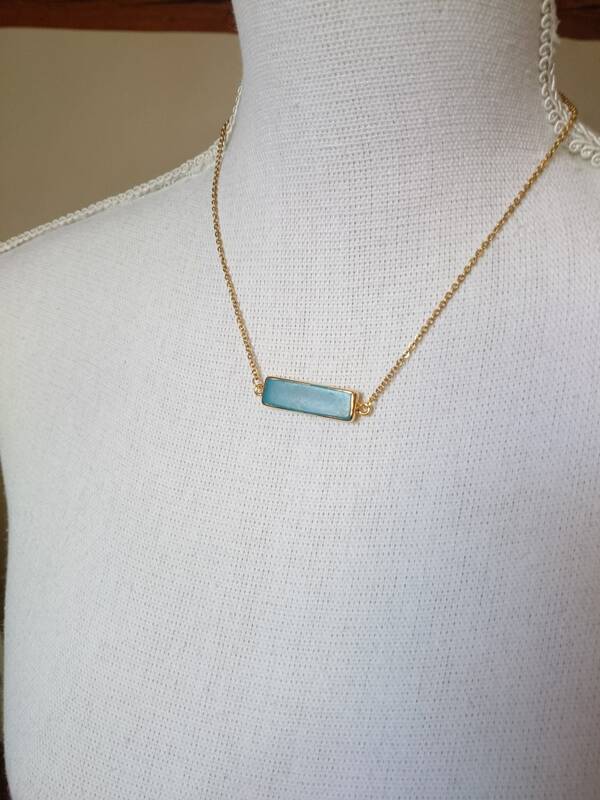 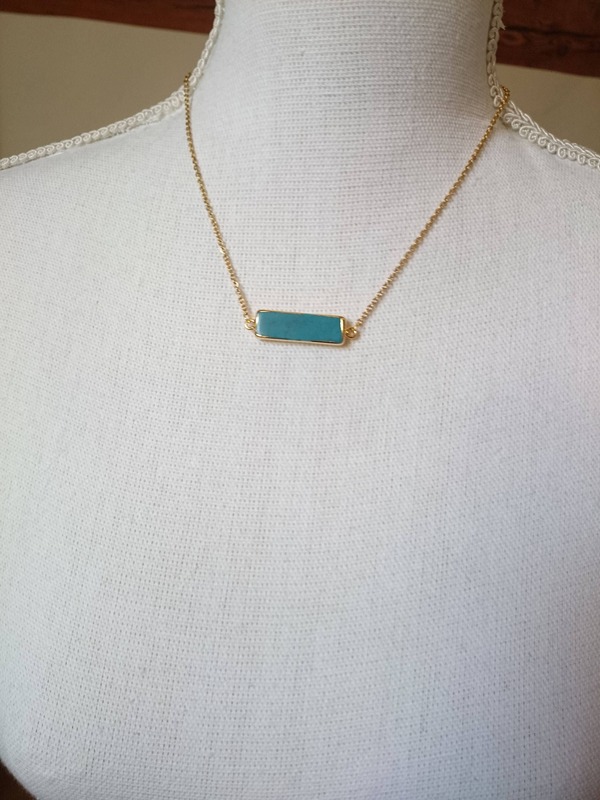 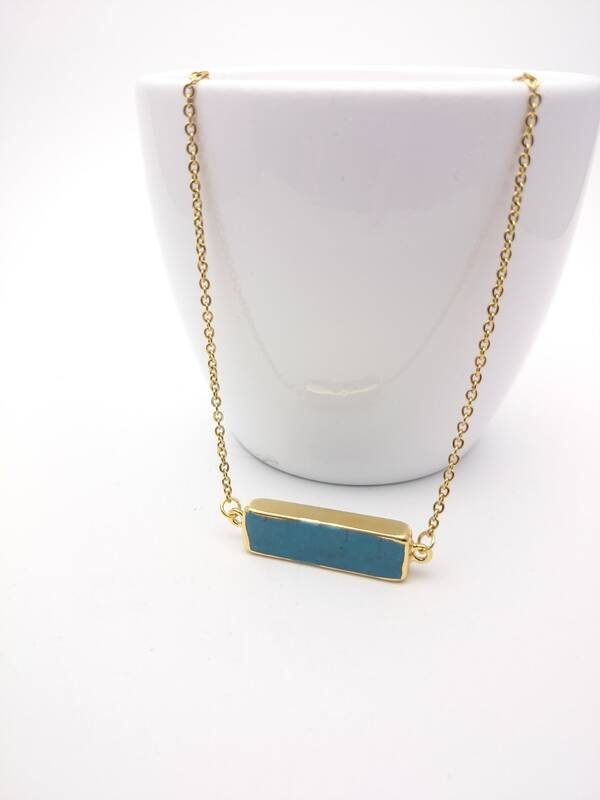 Turquoise Bar horizontal Necklace//Gold plated edges 24k Blue Howlite Bar necklace//Turquoise gem gold steel chain hypoallergenic. 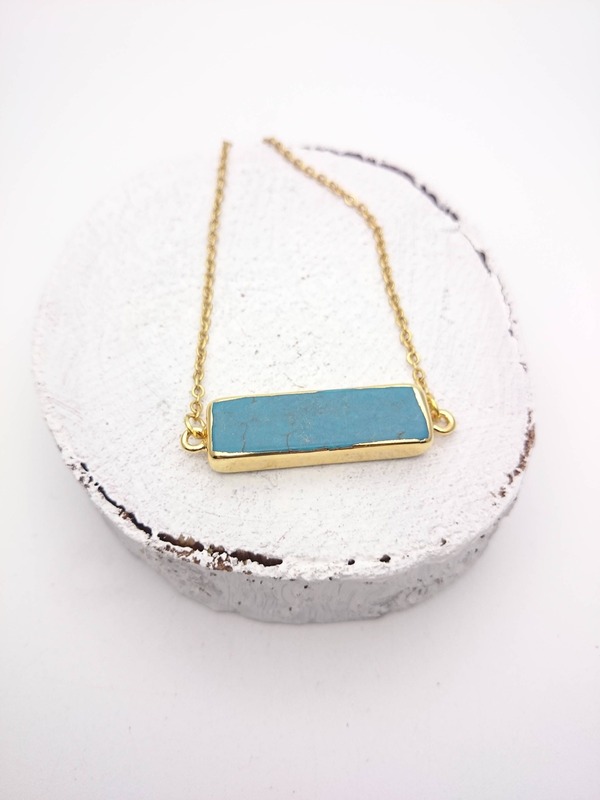 I have associated a turquoise stone howlite, semi-precious gemstone, shaped rectangular horizontal bar, whose edges are gold electroplated 24k and a gold color 316L stainless steel chain with a lobster clasp. 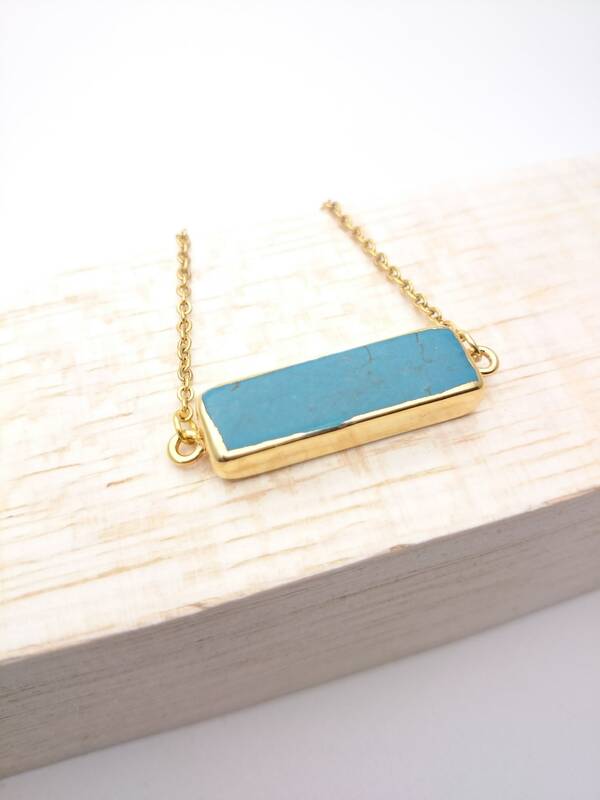 You can choose your chain length (16, 18 or 20 inches), 2mm thick. 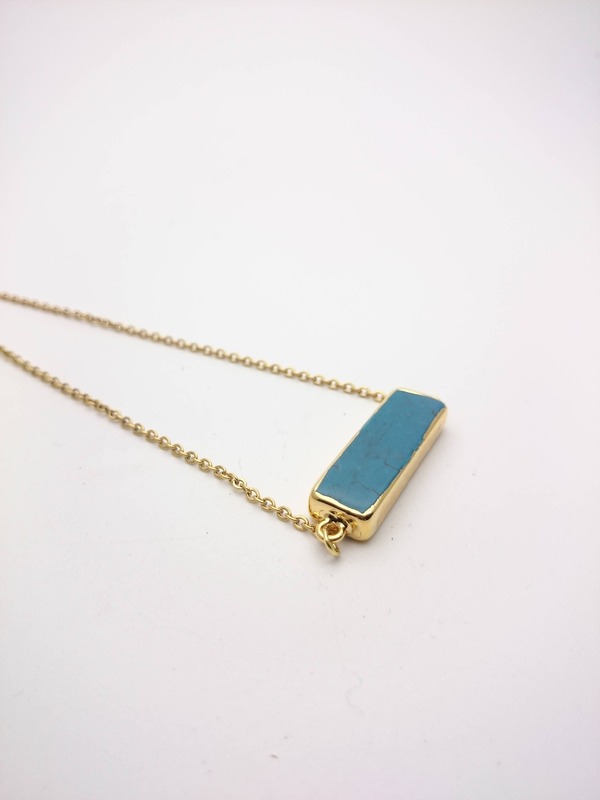 Pendant : nearly 30 mm x 10 mm and 5 mmm thickness. 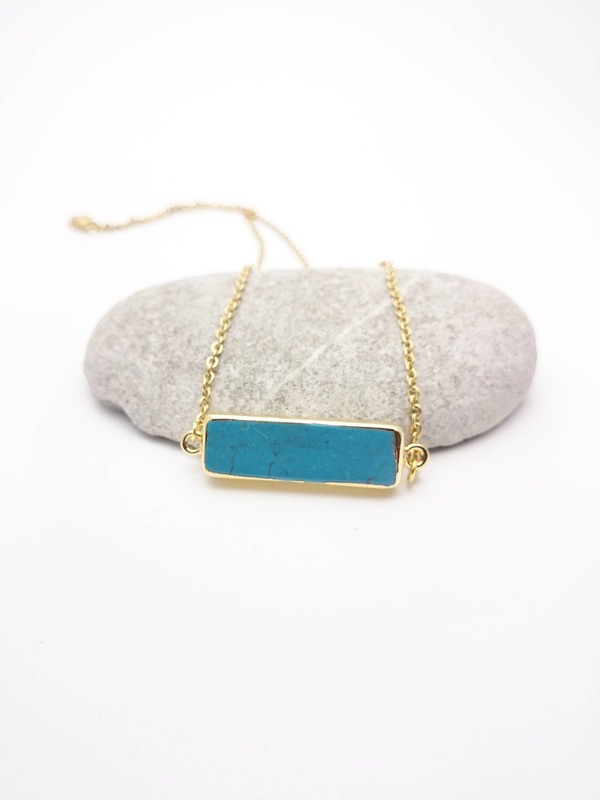 Turquoise howlite is a natural gemstone, each one has different cracks and designs making them unique. 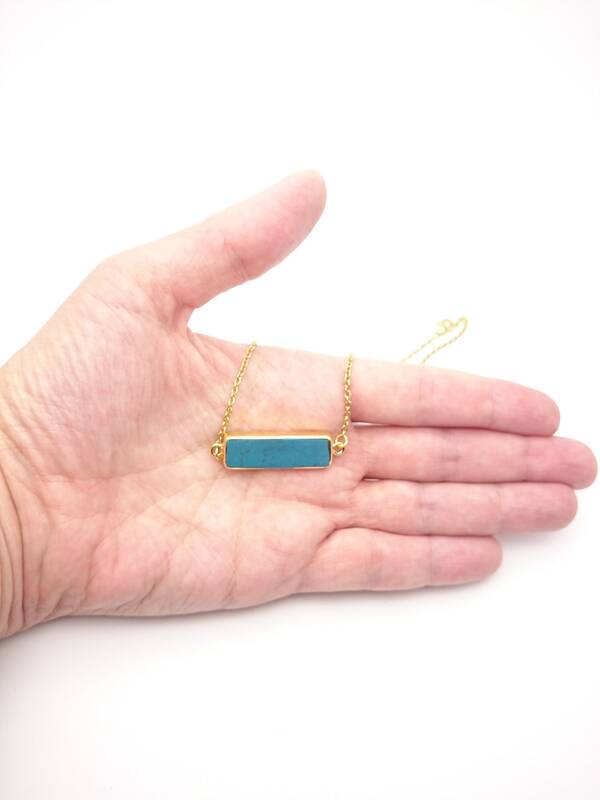 Your pendant will be very similar to the picture, but not the same. 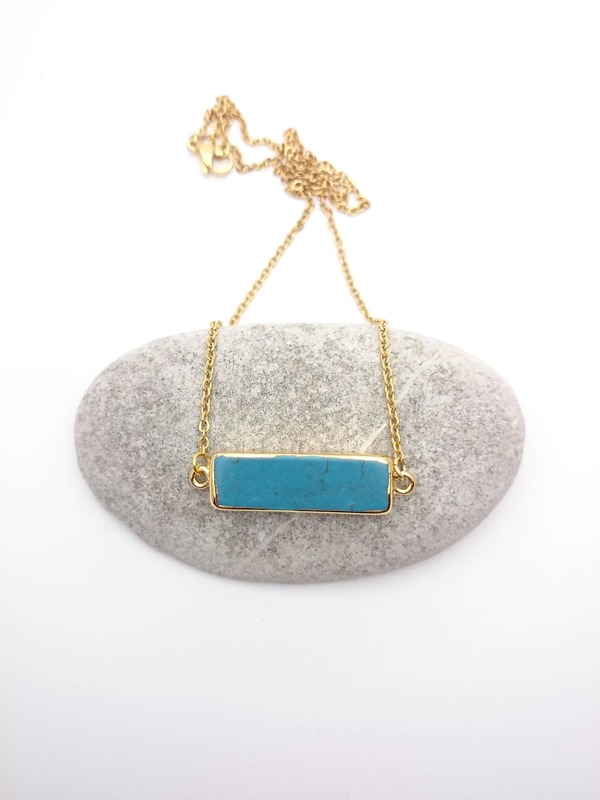 For those who believe in the powers of stones, howlite is a stabilizing stone. 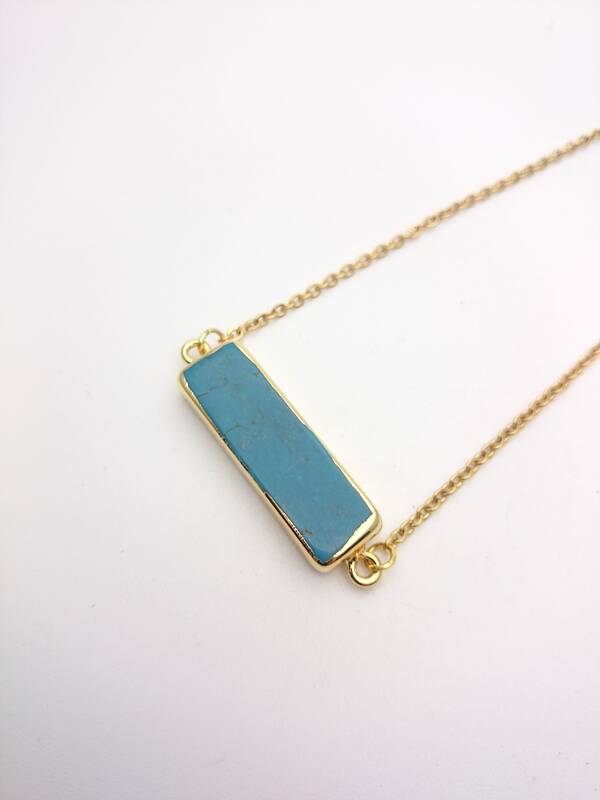 It makes it possible to clarify and establish coherence between feelings, it gives a sense of responsibility and at the same time helps to dispel all fears.